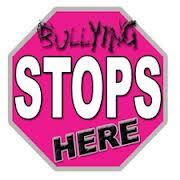 Today is Anti Bullying Day, it is the last Wednesday of February in Canada. It is the sixth anniversary of its commence which originally started as a protest against a bullying incident at a Nova Scotia high school (Central Kings Rural High School). In 2008, Premier of British Columbia, Gordon Campbell proclaimed February 27 to be the provincial anti-bullying day. It was then celebrated on February 25 in 2009. In 2009, the boys and girls club work on pink T-shirts that say “Bullying Stops Here.” and “Pink Shirt Day” for Anti-Bullying Day. I have been bullied as have many people. Being adult having a mental illness does not change that fact either. I have often felt people try to bully because they feel my mental illness inhibits what I would say or not say back to them. Rather for me, I actually fight back, because it triggers my rage issues. So please take a moment and wear PINK, you may just save someone’s life.